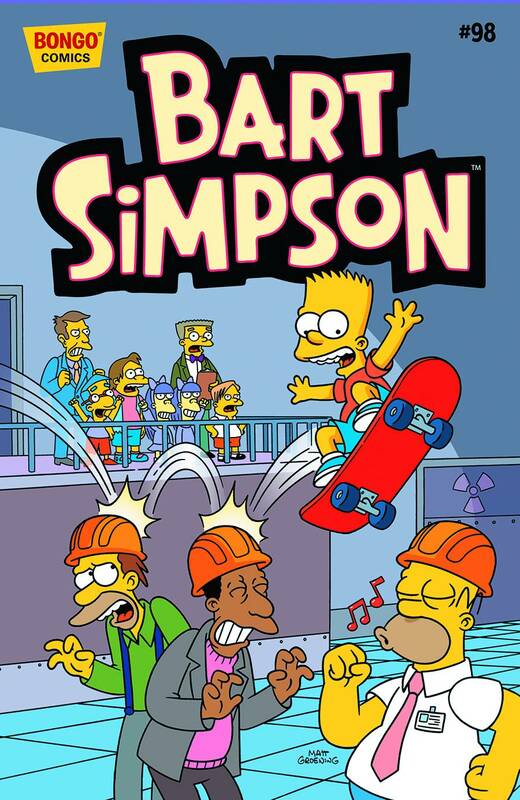 Bart Simpson #98 is the ninety-eight issue of Bart Simpson Comics, it was released on September 23, 2015. "Bart and Milhouse search Springfield to reap the financial rewards being offered by Channel 6 for news tips, but when it turns out to be a slow news day, they decide to fabricate a few phony stories of their own. Meanwhile, Marge is not too thrilled with Bart’s fixation on his new violent video game “Skateboard Renegade.”"